The Best Amish Furnishings - At the Best Prices! 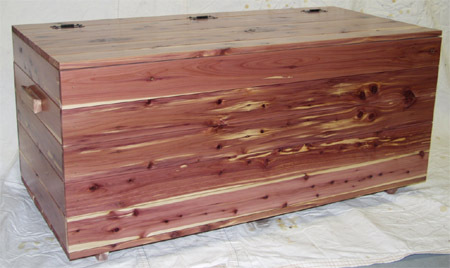 Clayborne’s has a variety of cedar chests available for almost any need. Here you see our plain cedar chest - a perfect entry level cedar chest. The chest you see has no special features, but we can supply them with an optional tray for small items on the inside and an optional lock if you desire. We can also provide you with cedar-lined chests made out of other woods, like solid oak. You get the style of the oak to match your decor, and the functionality and moth resistance of the cedar on the inside. Ask for what you need and we will be happy to come up with a solution just for you!